She is a cute geek. She loves to get dressed up in something cool. See if you can give the geek something cute to where. 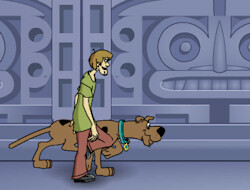 Help Scooby Doo and Shaggy to get out of the temple of lost souls! You have to solve a series of action and logic based puzzles.